This S50 range, made by Vitra, truly does live up to the Vitra name as being one of the world leaders in bathroom design. The range encompasses everything that is contemporary, with its bold, vibrant, up to the minute design; it will, without a doubt, bring your bathroom to life. 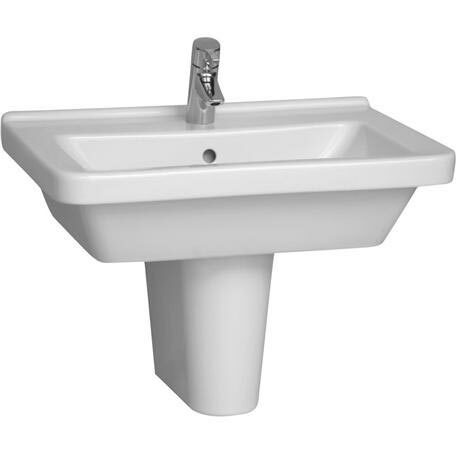 This washbasin with a half pedestal, it features 1 tap hole but is available in various different size options. The Image shown is the 50cm Washbasin and pedestal, for accurate product dimensions please select the size required from drop down menu then view dimensions.